While I'm hesitant to say anything in hopes that I won't look out the window to yet another snowstorm, I think that springtime is finally, truly almost here in the Midwest. The ice and snow is melting, the sun has been shining, and the hint of flowers and green grass are beginning to appear. As well as rejoicing in being able to pack away our snow pants, boots, hats and scarves, the kids and I are also extremely excited to reach into our closets and pull out the stylish footwear that our tootsies have been longing for. Don't get me wrong, a great pair of boots is awesome, but they somehow don't bring the same satisfaction as super cute flats or sandals. Maybe it's just because my toes are dying for the sunshine! The same goes for children's shoes and the fact that although there are a million pairs out there, having ones that are well-made and designed just for growing feet can make a huge difference. Which is why we know that to consistently find a wide selection of fashionable and top-of-the-line styles for kids, we need to turn to none other than Umi. 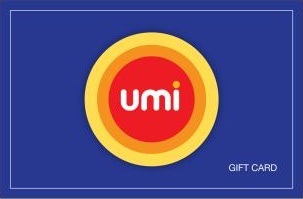 Founded in 2004, Umi doesn't just care about little feet, they care about the earth as well. While making sure that every shoe they produce is safe, durable and meets strict guidelines for child-safe materials, they also only use non-toxic, drum-dyed leathers and other environmentally-friendly components. During manufacturing they even use a waste disposal system safe for the planet and then complete the process by protecting and sending your shoes in recycled packaging. Is there anything else that they can do? Well, how about fact that their quality, comfortable and stylish footwear is simply adorable? 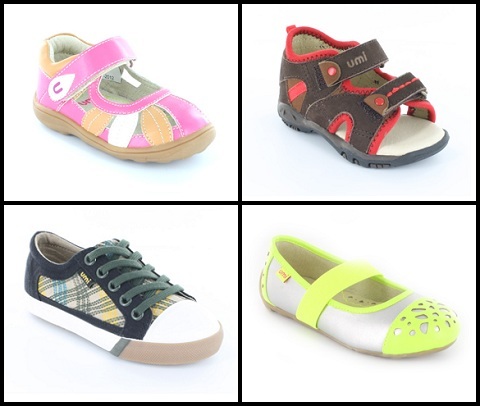 Whether you are shopping for the rugged, outdoor look, something with glitz and glamour to dress up in or simple, stylish sandals to celebrate spring and summer, Umi has boys' and girls' fashions to suit everyone's tastes. Which works perfectly around here, as Big Sister E tends to lean more towards the sporty, comfortable designs, while Little Sister B opts for girly girl colors and embellishments. When the Belair and Halina A Big arrived, I had no doubt that they were going to be a big hit with both. Beautifully constructed out of soft, man-made uppers with man-made and leather linings, I could instantly tell that the Belair were much more than another pair of flimsy, cheap sandals. The sturdy construction and the flexible sole give plenty of support, yet are just right for providing traction and, of course, comfort. Not to mention that the yellow polka-dotted straps and magenta and lime fringed flowers are just the most cheery combination around. Is there a way to not smile when you see a pair of shoes this cute? At the same time, I love that the Halina A Big combine a standard mary jane styling with the rugged, athletic feel of a sneaker. As they are available with two eye-catching prints — polka dot and metallic croc — on the sturdy canvas, the wearer has multiple ways to show off her style. Big Sister E was especially drawn to the silver detailing throughout these shoes and immediately loved the grommet embellishments on the adjustable strap. Add that to the durable sole and rubber bottom and these can easily be worn with or without socks with jeans, shorts, pants, dresses, skirts and more. Big Sister E was so thrilled with these, she began wearing them immediately — they were her shoes of choice for our recent spring break trip! As I had used Umi's convenient size chart (I even printed off their downloadable measurement chart to be sure) and knew that their shoes are handcrafted to include room to grow and fit generously, I was pleased to see that these shoes are a tiny bit large on both girls (more so on Little Sister B). That just means that they'll be able to wear them all throughout the summer and into the fall! Zander in multi gray would be perfect for my son! I love the Roxanna Big for my daughter. my daughter fell in love with the halinas! I like the grey Zanders. I like the Mary Jane style Halina A Big in Purple. I love the Elain in Coral Multi for my baby granddaughter! I love the Morie shoes in Orchid. I love the Cassia in brown. I like the Halina B shoe. The girl's shoes are adorable, but I would be getting shoes for my nephew, so I would choose the Benet Outdoor Sandal. I love the Elain for my daughter! I like the Roxanna Ii in silver for my daughter! Thanks for the chance to win! I like the Bodi shoes for little boys. I like the halina B.
I like the shane in big boys! I like the Zander for my toddler! My favorite are the Shane sneakers. I love the Chaarmy boots! I love the Zander in Gray Multi! I like the bodi shoes in blue! Thanks so much for the fantastic giveaway! I like the Connor sneakers for my son. My favorite are the Giselle sandals. the Halina A in purple :) Thanks. I like the Immani Big. The kids live in sandals all summer and they have to be secure! Besides comfy. These would fit the bill perfectly. The Natalia Jr in Pink. 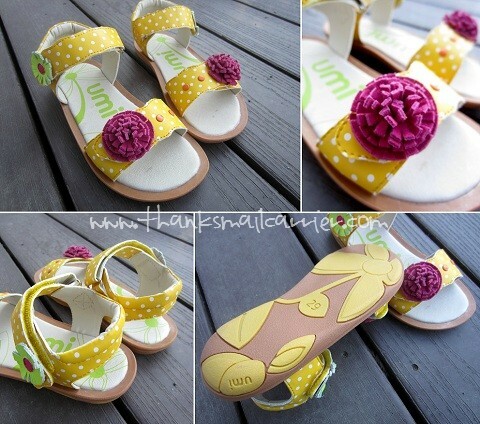 I like the Umi Baby Weelie shoes! I like the cassia in cocoa multi. love the brogan in leaf green! 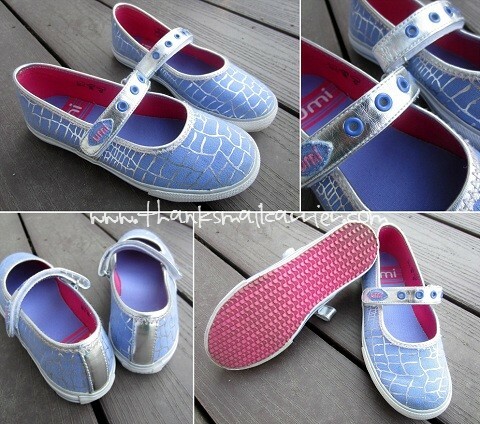 I love the Misha shoes!!! I like the Carrter sandals. I like the Immani big sandals in blue. I really like the carter in gray multi! I like Shane 380055A-975 for my son. I love the Carrter in black/blue. Great summer sandals for my toddler boy! I love the Tala Ii in pink multi. Their Etude shoes are too cute. I like the Zander shoes for toddler boys. I like the big girls Louise sandals. I just love the Cassia shoes in Orchid! I love the Brogan in green. I like the Belair Big for my daughters - so cute! I think my niece would like the Lianas. My son said he likes the looks of the Hayman. I adore the Misha sandals! My favorite is the Adeline (Silver)! i like giselle pink shoes best! The umi Dann would look so awesome on my little man. They match his mature, all-grown-up attitude ;) Definitely a must-buy! I love the Glena shoes! I like the MORIE girls shoe in purple. I like th girls aeline most! The UmiBaby Elain's are my favorite! I like the Elaine ones! I like the Hayman in Black for my son! I like the girls Adeline shoes. I love the girls adeline shoes!! The Adeline shoes are totally cute! The Glena shoe is totally cute. Nice blend between a full shoe and a sandal. Love the Tala shoes! So cute! So many cute shoes! I would love to get my daughter the Misha. I like the girls Karolina sandals with the little flower details. I love the elain in pink multi for toddler girls. The "Carrter" are adorable for my baby boy!! I like the Oleson shoes for boys. natalia jr in pink is a cute pair. I absolutely love the boys Zander shoes in Gray Multi. So cute! I love the Elain in pink! Thanks for hosting! My fav was the Zander in blue. I like the Morie in blue. LOVE the Terri Giraffe Print Big shoe. Fun! I think the roxana sandals are ADORABLE! Zander is the Umi Shoe I like for my grandson whose feet are growing daily as he'll be one on Monday. I like Weelie in Navy Multi. The Little Boys Braden shoe is my favorite. I love the Natalia white sandal for my daughter! The Elaine pink multi are my favorite Umi Shoes!! I love the Shane Little shoes. I like the cherry Marisa shoes. Thanks. I'm loving Morie in red! I like the Laren li for my son. The Adeline is adorable or my toddler girl. Thanks for e chance. I like the Chaarmy boots for my daughter. My favorite would be Shane for Little Boys. I like the Immani Big in white.